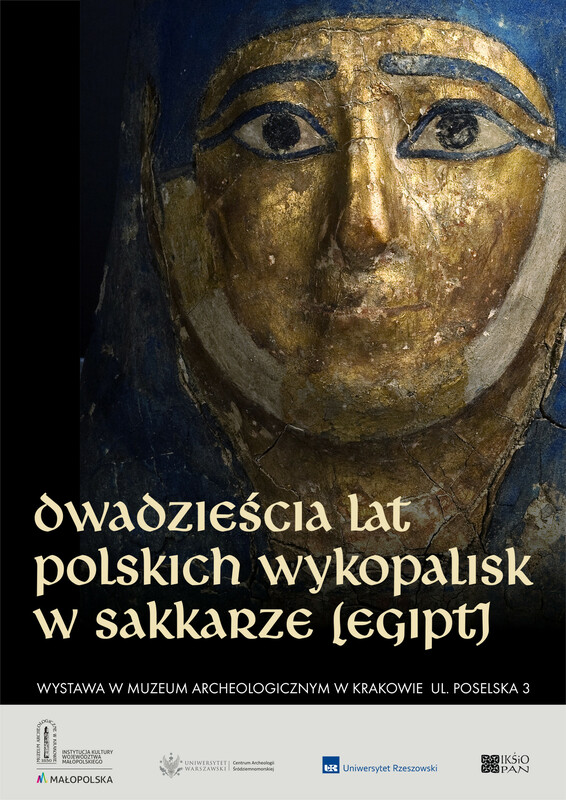 Archaeological Museum in Krakow will house an exhibition “Twenty years of Polish excavations in Saqqara (Egypt)”. It is co-organized also by the Institute of Mediterranean and Oriental Cultures and the Polish Centre of Mediterranean Archaeology, University of Warsaw. The exhibition offers and overview of the major discoveries of Polish archaeologists working with the PCMA mission in Saqqara, near the pyramid of Djeser, the oldest in pharaonic Egypt. In two archaeological strata, dating from the 3rd and the 1st millennium BC, tombs were found, some of them (e.g. the tomb of vizier Merefnebef), holding unique works of art and documents of the highest historical value. They are not only the object of study of the Polish mission in Saqqara but also of conservation and restoration. Original artifacts from the Museum collection will also be on show. The opening of the exhibition will be held on 1 March 2016, at 5.00 PM. It will be accompanied by a lecture by Prof. Karol Myśliwiec “Twenty years of Polish excavations in Saqqara”. The exhibition will take place in the Archaeological Museum in Krakow (3 Poselska st.) from 1 March till 19 December 2016.